Get ten public speaking tips to help people improve your presentation skills. A series of articles by a master speaker on how to improve your speaking skills. Lenny Laskowski is an international professional speaker and an expert on presentation skills and related topics. Below are a collection of Lenny’s most requested monthly speaking tips. If you’re looking for informative and entertaining tips to improve your public speaking skills, you’ve come to the right place. Have a look around and enjoy your stay. Response to the Akron Beacon Journal Attack on Homeschooling. By Nathaniel Bluedorn and Hans Bluedorn, two homeschoolers. Parliamentary debate is a formal contest of rhetorical skill between two opposing pairs in the traditions of a parliamentary body. American Parliamentary Debate Association. Ideas are the currency of the twenty-first century. In order to succeed, you need to be able to sell your ideas persuasively. This ability is the single greatest skill that will help you accomplish your dreams. 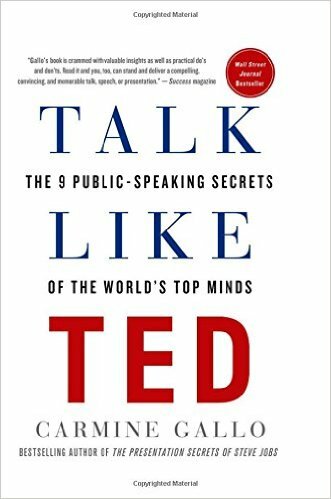 TED Talks have redefined the elements of a successful presentation and become the gold standard for public speaking. TED―which stands for technology, entertainment, and design―brings together the world’s leading thinkers. These are the presentations that set the world on fire, and the techniques that top TED speakers use will make any presentation more dynamic, fire up any team, and give anyone the confidence to overcome their fear of public speaking. Here are some tips for how to speak in public which will tell you how to overcome public speaking fear and won’t let it mess up your speech. America: In the face of our common dangers, in this winter of our hardship, let us remember these timeless words. With hope and virtue, let us brave once more the icy currents, and endure what storms may come. Our most eloquent spokesman on the founding principles of American self-government. The excerpts were chosen, not for their historical significance, but as an expression of Jefferson’s principles of government that have relevance for us today. We’ve posted the entire transcript below and highlighted the key portions. To see an annotation, click on the yellow, highlighted text. NCFCA believes that formal speech and debate can provide a means for home schooled students to learn and exercise analytical and oratorical skills, addressing life issues from a Biblical worldview in a manner that glorifies God. Find or start a Speakers League club. Become part of our fast-growing global community of youth-run public speaking clubs. A “camp” for budding lawyers, it offers students a unique opportunity to learn general speaking and communication through a concentrated focus on the American judicial system. Camps held at four California universities. When you’re passionate about the subject you are speaking on, it will automatically come through in your delivery, helping you to gain your audience’s trust and attention.